The Camino de Santiago routes are everyone’s heritage and they should be preserved and looked after by us all, pilgrims, visitors and locals alike. Writing graffiti, leaving personal mementos along the trails and many other customs that might seem harmless are, in fact, damaging this precious heritage. 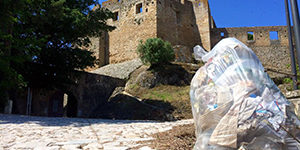 While on the Camino or any other walking trail, always dispose of your rubbish in appropriate places such as bins if you are in a town or city. We recommend packing a small paper bag in your day backpack so you can carry litter to the next stop. For instance, if you are in the middle of a forest, chances are you won’t have bins available. In that case, keep your food wrappings and other waste until the next town, where you will be able to dispose of it. Many towns might even have recycling facilities so you can separate your plastic for paper or your organic waste. We recommend taking a reusable water bottle instead of buying bottled water every day, this will allow you to reduce the amount of single use plastics during your trip. Water bottles can be easily refilled in the drinking fountains available along some of the trails or at your hotel. Try to keep your waste to a minimum, purchasing snacks with less or no wrapping for example. While most walkers and Camino pilgrims might be conscious and respectful to the environment during their trip, many might be littering in other more ‘innocent’ ways: something as common as leaving a picture or written note by a milestone for instance. In many places along the way, such as Cruz de Ferro and Camino markers, pilgrims have traditionally left little mementos to remember their loved ones for instance. While it might be tempting to write a note on a piece and no matter how well meaning you might be, anything that is not organic, such as pebbles (traditionally used in cairns for instance) will all just end up littering the trail at the end of the day. The same goes for tying shoes or ribbons on trees or propping them on top of the Camino milestones. Another common occurrence on the trail is graffiti, stickers and name carvings on signs, milestones and other public spaces such as benches. Signs are placed by local authorities and maintained to help pilgrims on their way, therefore should be respected. 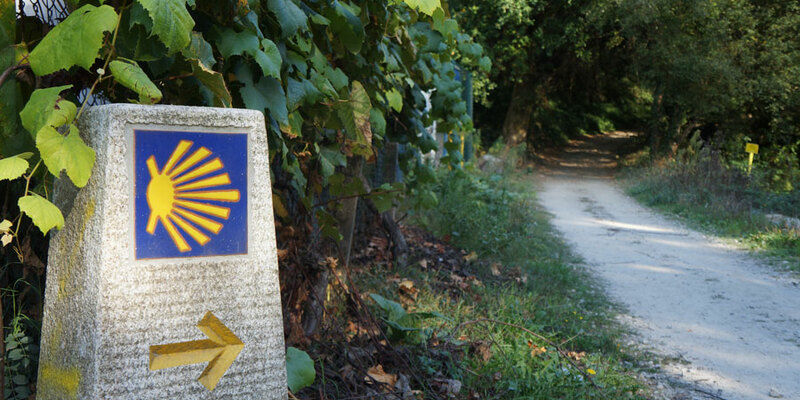 What for one pilgrim might be an innocent mark, it will be damaging Camino markings for future pilgrims. Cape Fisterra marks for many pilgrims, the very end of their Camino journey and certain customs have developed around it. Traditionally pilgrims would burn their clothes by the sea (the end of the world) and many pilgrims still today leave their walking shoes by the Cape or even burn them. However, this is not a very respectful practice and it’s indeed banned by the local authorities. 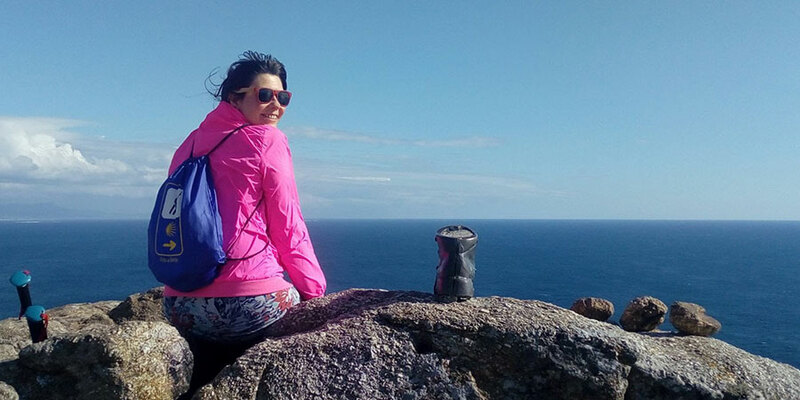 While we might feel comfort in the symbolic act of disposing of our walking gear to finish our journey, as responsible pilgrims we should think of the consequences: leaving walking shoes at the Cape is just littering and burning clothes could be a fire hazard or even turn into an ecological disaster if the fire spreads. To mark your journey’s end, why not just go for a dip in the ocean instead? There are lovely beaches to go for a swim in Fisterra. 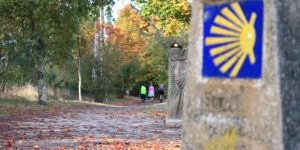 At CaminoWays.com we are proud of our responsible travel and ‘leave no trace’ policy and we’d like to encourage all our clients and all pilgrims to enjoy the Camino responsibly. *You might want to read about our Greenlife Fund.